PEUGEOT BIPPER 1.3 HDI 75CV. CÁRTER DE ACEITE MASILLA NEGRA. AL 0957081771. Model: Bipper 1.4. 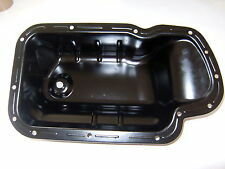 Product: Steel Engine Oil Sump Pan. Vehicle: Peugeot. Left hand drive cars have door mirrors fitted at a slightly different angle therefore creating the chances for blind spots if fitted incorrectly. BIPPER VAN. BIPPER Tepee. OIL SUMP PAN. PARTNER MK 1 MPV. PARTNER MK 2 VAN. PARTNER MK 1 VAN. PARTNER MK 2 MPV. AND MAKE SURE THE ITEM IS IDENTICAL TO THE ORIGINAL ONE. Model: Bipper. Engine sump plug is included, but sump gasket is not included. Product: Steel Engine Oil Sump Pan Diesel. Vehicle: Peugeot. Roof Parts. Engine: 1.4 Diesel. Year: 2008->. Engine Parts. PEUGEOT BIPPER 1.4 & 1.6 HDi DIESEL ENGINES. 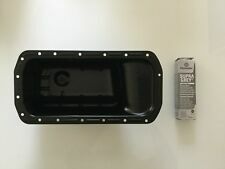 THIS SUMP KIT FITS ALL 1.4 & 1.6 HDi DIESEL ENGINES! PEUGEOT PARTNER 1.4 & 1.6 HDi DIESEL ENGINES. 4 LITRES 5W30 C3 ENGINE OIL, SUMP PAN, SUMP PLUG. 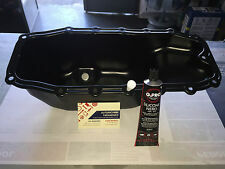 ENGINE OIL SUMP PAN KIT. PEUGEOT BIPPER (AA_) 1.3 HDi 75 Box Diesel 10/2010 on FWD 16 75 55. PEUGEOT BIPPER Tepee 1.3 HDi 75 Estate Diesel 10/2010 on FWD 16 75 55. Function Wet Sump. CITROËN NEMO Box (AA_) 1.3 HDi 75 Box Diesel 10/2010 on FWD 16 75 55. Model: Bipper. 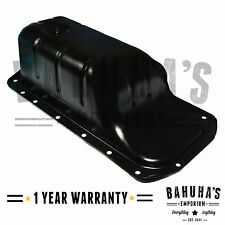 Product: Steel Engine Oil Sump Pan (Incl. Mounting Bracket) Petrol. Engine sump plug is included, but sump gasket is not included. Engine: 1.4L Petrol. Vehicle: Peugeot. Roof Parts. Year: 2008->. 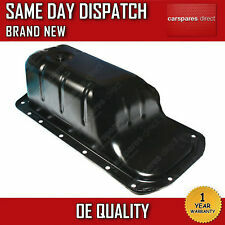 TOP QUALITY OIL SUMP PAN. PEUGEOTS BIPPER. 1.3 HDi DIESEL. CITROEN NEMO. ENGINE OIL SUMP PAN WITH SUMP PLUG. Model: Bipper. Engine: 1.3 MultiJet Diesel. Engine sump plug is included, but sump gasket is not included. Product: Steel Engine Oil Sump Pan Excl. Sensor Hole. Vehicle: Peugeot. Roof Parts. Engine Parts. COPPA OLIO MASTICE NERO. PEUGEOT BIPPER 1.3 HDI 75CV. PER ULTERIORI INFO NON ESITATE A CONTATTARCI. PEUGEOT BIPPER AA 1.4 Sump Pan 2008 on KFV(TU3A) Oil Wet BGA. PEUGEOT BIPPER (AA_) 1.4 Box Petrol 02/2008 on FWD 8 73 54. Function Wet Sump. PEUGEOT 0301L6. PEUGEOT 206 Hatchback (2A/C) 1.4 i Hatchback Petrol 09/1998 on FWD 8 75 55. PEUGEOT 6455GA. We just want you and your car to be happy! Length [mm]::571. You'll have the part ASAP. Width [mm]::351. 12 months warranty on all orders. With this in mind, we will indicate what type of product you are looking at within the following guidelines. FITS 2010-ONWARDS. Whilst every effort is made to ensure that parts are despatched in good working order, problems and faults do occasionally occur. In this instance we will endeavour to replace a faulty part. Bipper (AA_). Oil Pan / Sump. Partner (5). This will fit the following vehicles:-. 206 (3TE). 1007 (KM_). We just want you and your car to be happy! You'll have the part ASAP. We will always attempt to rectify the issue as fast as possible! With this in mind, we will indicate what type of product you are looking at within the following guidelines. CALIDAD superior del colector de aceite cárter. PEUGEOT BIPPER AA 1.4D Sump Pan 2008 on Oil Wet BGA 0301N1. CITROËN 0301N1. PEUGEOT 0301N1. PEUGEOT BIPPER (AA_) 1.4 HDi Box Diesel 02/2008 on FWD 8 68 50. PEUGEOT BIPPER Tepee 1.4 HDi Estate Diesel 04/2008 on FWD 8 68 50. PEUGEOT 6455GA. Length [mm]::571. Width [mm]::351. 12 months warranty on all orders. With this in mind, we will indicate what type of product you are looking at within the following guidelines. You'll have the part ASAP. NUEVOS CÁRTERES DE ACEITE DE MARCA DE PRIMERA CALIDAD. Originale 0301R2. Per Peugeot Bipper. Per Citroen Nemo. Coppa olio. Motori 1.3 HDi. Esperienza e professionalità al vostro servizio da oltre 50 anni. BIPPER 2016. Make / ModelPEUGEOT BIPPER. made with love by. Part also fitsBIPPER 2007 -2017 Mk1. 1.3 TD 19A9000. 1 x Dichtungmasse por PEtec: 70ml rojo. BIPPER < abarcan clase = notranslate ' > 1.3 HDI. Nemo 1.3 HDI. Citroën / Peugeot. PEUGEOT 0301N1. We just want you and your car to be happy! You'll have the part ASAP. We will always attempt to rectify the issue as fast as possible! With this in mind, we will indicate what type of product you are looking at within the following guidelines. 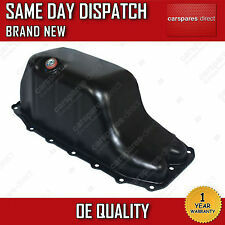 1 x ENGINE OIL SUMP WITH SEALANT WITH FASTERNING BRACKET FITS Model Year Body Style kW HP cc PEUGEOT - 106 Mk II (1) - 1.1 i 05.96 - Hatchback 44 60 1124 PEUGEOT - 106 Mk II (1) - 1.4 i 05.96 - Hatchback 55 75 1360 PEUGEOT - 206 Hatchback (2A/C) - 1.1 i 09.98 - Hatchback 44 60 1124 PEUGEOT - 206 Hatchback (2A/C) - 1.4 i 09.98 - Hatchback 55 75 1360 PEUGEOT - 206 Hatchback (2A/C) - 1.4 16V 10.03 - Hatchback 65 88 1360 PEUGEOT - 206 Saloon - 1.4 03.07 - Saloon 55 75 1360 PEUGEOT - 206 SW (2E/K) - 1.1 07.02 - Estate 44 60 1124 PEUGEOT - 206 SW.
Ölwanne passend für Peugeot Bipper 10.07- / 307 03.01-09.07/ 207 05.06-12.13/ 206 01.98-04.09/ 206 04.09- / 1007 09.05-11.09. Ohne Loch für Ölstandsensor. Vorauskasse: Kostenlos DE. 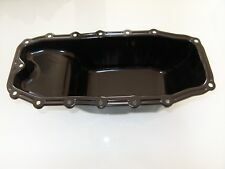 PEUGEOT BIPPER AA 1.3D Sump Pan 2010 on Oil Wet B&B. PEUGEOT BIPPER (AA_) 1.3 HDi 75 Box Diesel 10/2010 on FWD 16 75 55. PEUGEOT BIPPER Tepee 1.3 HDi 75 Estate Diesel 10/2010 on FWD 16 75 55. Function Wet Sump. CITROEN FIAT PEUGEOT 1.4 (C2 1.1) PETROL ENGINE, STEEL OIL SUMP INCL. DRAIN PLUG & MOUNTING BRACKET. This policy does not affect your statutory rights. Bison Parts cannot accept liability for any inaccurate or subsequent changes to the information provided. Galet tendeur Citroen Berlingo Nemo Xsara XsaraPicasso Fiat Fiorino Qubo Peugeot 206 Bipper Partner. PEUGEOT 206 - Bipper - Partner 1.4/1.6. CITROËN PEUGEOT 5751A2 - 5751. KRUCK AUTO S.A.R.L. - DOM TOM : n'hésitez pas à nous consulter. BIPPER 2009-2015. 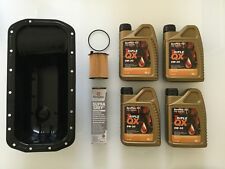 ENGINE OIL SUMP PAN KIT. 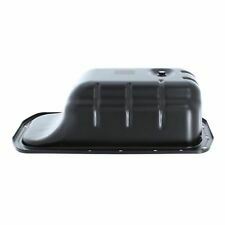 CONTAINS : SUMP PAN, ENGINE OIL 5W30 5 LITRE . ALSO EXCLUDING ISLE OF WIGHT. PARTNER 2003-2010. OIL FILTER & SILICONE SEALER. BIPPER VAN (AA_). BIPPER Tepee. OIL SUMP PAN. ENGINE SIZE. ENGINE CODE. PARTNER MK 1 MPV (5F). PARTNER MK 1 VAN. MATERIAL: STEEL. FOR PEUGEOT BIPPER. This is an original quality part manufactured by Febi. Length:530 mm. Vehicle compatibility. Quantity Included:1. Ölwanne passend für Peugeot Bipper 10.07- Citreon Nemo 10.07-. Ohne Loch für Ölstandsensor. Vorauskasse: Kostenlos DE. BIPPER 2009-2015. 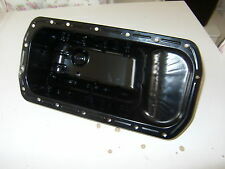 ENGINE OIL SUMP PAN. ALSO EXCLUDING ISLE OF WIGHT. PARTNER 2003-2010. 1.1 & 1.4, 8 & 16 VALVE PETROL ENGINE. PEUGEOT BIPPER AA 1.3D Sump Pan 2010 on Oil Wet Firstline. PEUGEOT BIPPER (AA_) 1.3 HDi 75 Box Diesel 10/2010 on FWD 16 75 55. PEUGEOT BIPPER Tepee 1.3 HDi 75 Estate Diesel 10/2010 on FWD 16 75 55. Function Wet Sump. Peugeot Bipper Bj. L5, 0301L5, 0301. L6, 0301L6. Peugeot 1007 KM Bj. Peugeot Partner Bj. Peugeot 206 T3E Bj. Peugeot 206 Bj. Peugeot 207 Bj. FOR PEUGEOT BIPPER. 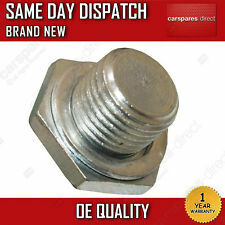 This is an original quality part manufactured by First Line. Peugeot Bipper AA_ (2010-2018). Peugeot Bipper Tepee - (2010-2018). Citroën Nemo Kasten AA_ (2010-2018). Citroën Nemo Combi - (2010-2018). Fiat Fiorino Kasten / Kombi 225 (2007-2018). 1 x bandeja de aceite con tapón de drenaje de aceite. BIPPER 1.3 HDI 75 Ch (2010-~). BIPPER Tepee 1.3 HDI 75 Ch (2010-~). Pour moteur diesel 1.3 D ; 1.3 HDI ; 1.3 JTD ; 1.3 CDTI ; 1.3 DDIS. DOBLO Cargo 1.3 JTD 16V 70 Ch, 75 Ch, 84cv. PUNTO II 1.3 JTD 16V 70 Ch (2003-2012). STEEL SUMP PAN. If you are a garage & repair or service these vehicles, then look no further get in touch for bulk prices. Cannot find the part you are looking for?. IV, HS, KA27-28, KW, PA20-49, PA60-78, PH17-26, PH30-44, ZE, BT, IM, TR21-25, AB, GY, JE, CHANNEL ISLANDS.